Japan as an archipelago is blessed with rich, natural resources and majestic scenery almost everywhere you turn. Perhaps no other country in Asia offers such a wide and virtually complete range of leisure experiences hinged upon different aspects of Mother Nature—water, mountain, forests, and many more. The four complete seasons that Japan experiences each year—winter, spring, summer and fall—are also responsible for shaping the myriad of activities and attractions available for tourists. Thus, a great idea is to plan your visit to Japan based on the kind of weather or climate you want to experience. Powder-like snow in Hokkaido. Hokkaido is the northernmost of Japan’s four main islands, and offers the most legendary powder-like snow during the winter months. The Sapporo Snow Festival in the capital city is much-awaited by locals and tourists alike every year for the breathtaking snow and ice sculptures on display. Be wise in choosing the best ski resort in Hokkaido that offers the most abundant snowfall, for a truly authentic winter experience. Apart from the requisite skiing on the slopes, there are many other winter activities to enjoy such as exploring snow-covered forests on foot, and riding on snowmobiles, buggies, and even banana boats. There are also a number of well-planned amusement parks with rides and events for the entire family. Spring may just be the perfect time to visit Japan’s capital city of Tokyo, not just because the cool weather is conducive for walking around, catching the train and exploring the various districts, but because you can also conveniently chance upon the iconic cherry blossoms in a number of spots throughout the metropolis. 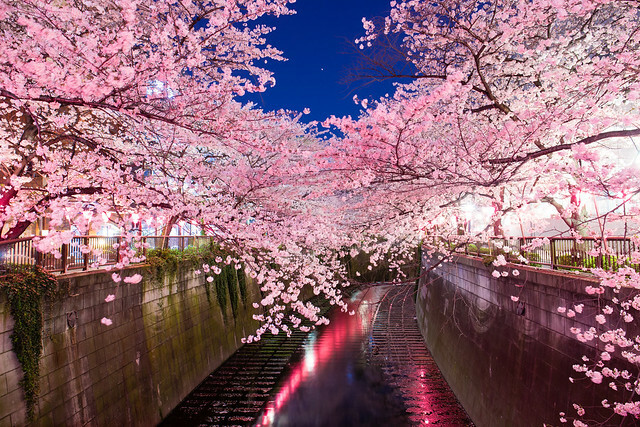 is one of the most popular outdoor spaces in Tokyo where cherry blossom trees are in abundance, and locals freely celebrate hanami or the Japanese tradition of revering and enjoying the fleeting beauty of the flowers. Majestic views of Mt. Fuji from Osaka. Japan’s highest mountain—at 3,776 meters—is also a perfectly shaped, active volcano. It is located on the border of Yamanashi and Shizuoka prefectures. Visitors can actually hike up the mountain, but for those after a picture-perfect souvenir, ride the bullet train from Tokyo to Osaka and catch a glimpse of Mt. Fuji halfway through the trip. The Fuji Five Lakes area surrounding the base of the volcano also makes for a great side trip to enjoy stunning views of pink moss called shibazakura, which grows during spring. Imagine what it must have been like to be a stealthy ninja walking through the thick, green bamboo groves of Arashiyama, in the western outskirts of Kyoto. There are many other points of interest surrounding this area, such as a monkey park, traditional old Japanese houses and villages, as well as temples. 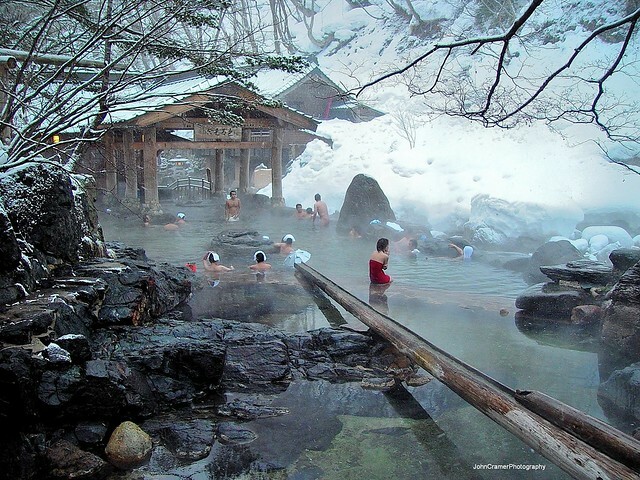 Popularly called onsen in Japanese, hot springs have been patronized for centuries for the healing and rejuvenating properties of the naturally heated waters. These days, they are among the top tourist attractions throughout Japan. One of the most popular is the Shibu onsen located in Nagano prefecture, where you can witness the spectacle of snow monkeys dipping into the hot springs. 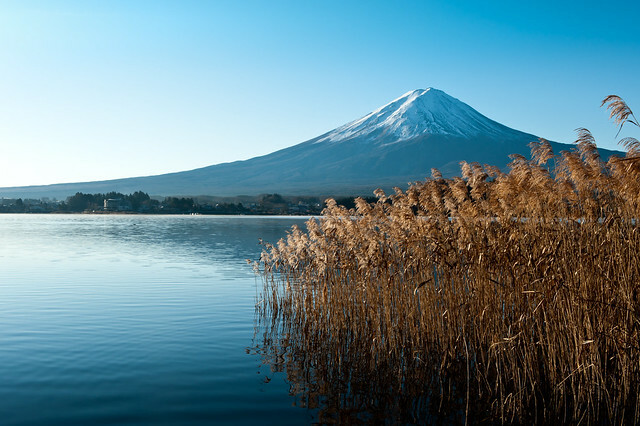 These are just a few of the many natural wonders that you can enjoy all throughout Japan. Like many other tourists who have visited the islands, you will find yourself wanting and needing to come back to experience more.